Ebstein’s anomaly is a rare and congenital heart defect. “Congenital” means the condition is present at birth. When a patient is diagnosed with Ebstein’s anomaly, their tricuspid valve (or the valve between the two right heart chambers, the right atrium and right ventricle) doesn’t work properly. The tricuspid valve will be located lower than normal in the right ventricle. Meanwhile, the tricuspid valve’s leaflets will form abnormally. Because of this defect, blood may leak back through the valve, preventing the heart from working efficiently. 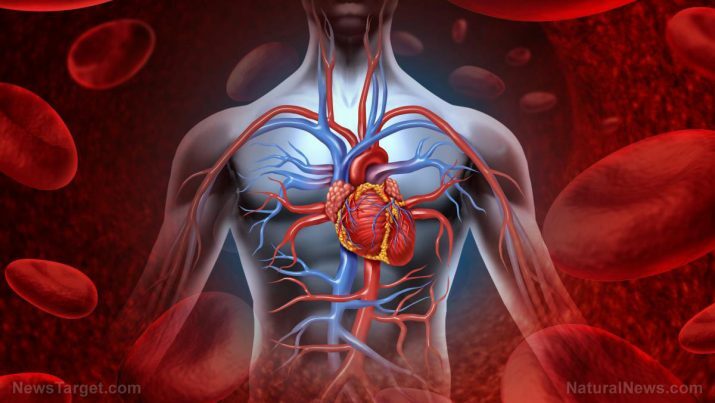 Ebstein’s anomaly can also cause the enlargement of the heart or heart failure. Individuals with mild forms of Ebstein’s anomaly may not develop any side effects until later in life. Both genetic and environmental components are believed to be possible risk factors. Individuals with a family history of heart defects are more likely to have Ebstein’s anomaly. A mother’s exposure to certain medications, like lithium, are linked to Ebstein’s anomaly in the child. Being active — An individual with mild Ebstein’s anomaly with a relatively normal heart size can remain active, especially if they do not have any heart rhythm disturbances. However, depending on a patient’s signs and symptoms, certain competitive sports like football or basketball should be avoided. During pregnancy — For most cases, women with mild Ebstein’s anomaly can safely give birth. Do take note that pregnancy is linked to certain risks. Being pregnant will put additional strain on the heart and circulatory system not only during pregnancy but also during labor and delivery. However, a patient with the condition can still give birth naturally or via vaginal delivery. While rare, severe complications may develop and these may be fatal for either the mother or baby. Other complications caused by Ebstein’s anomaly include heart failure, heart rhythm problems and, rarely, sudden cardiac arrest or stroke. Grass-fed meat — Grass-fed meat usually contains less total fat than grain-fed meat. For example, a sirloin steak from a grass-fed steer only has about one-third the amount of fat as a similar cut from a grain-fed steer. Lean grass-fed meat may help lower low-density lipoprotein (LDL) or “bad” cholesterol levels. This kind of meat is also low in calories. Leafy greens and other vegetables — Vegetables are rich in fiber, minerals, and vitamins. Additionally, vegetables are low in fat and calories. Sources include asparagus, bell peppers, broccoli, carrots, leafy greens, and tomatoes. Per the American Heart Association, about half of your dinner plate must contain vegetables. Oatmeal and other whole grains — Oatmeal and other whole grains contain soluble fiber that can lower cholesterol and help improve nutrient absorption in digestion. Salmon and other fatty fish — Eating fatty fish regularly can help lower the risk for heart attacks. Sources include fish rich in omega-3 fish fatty acid like herring, mackerel, salmon, and sardines. Treatment for Ebstein’s anomaly may vary depending on the severity of a patient’s symptoms, and the same is true for younger patients with the condition. Medications — When Ebstein’s anomaly causes heartbeat disturbances, a healthcare professional may prescribe drugs that will help control it. Other medications can help prevent fluid retention in the body or blood clots. Blood clots and fluid retention (edema) are the common side effects of a heart that is unable to pump efficiently. Monitoring — Individuals with mild symptoms do not require treatment. A healthcare professional may suggest imaging tests to monitor a patient’s condition and ensure that the symptoms don’t worsen. Surgery — When a patient suffers from severe symptoms and their heart is becoming enlarged, a healthcare professional may recommend surgery. Some individuals may require surgery to repair the tricuspid valve. For other cases, the valve may be removed completely and replaced with an artificial valve or a “bioprosthesis,” which is a valve from a cow or pig. Ebstein’s anomaly is a rare and congenital heart defect. When a patient is diagnosed with Ebstein’s anomaly, their tricuspid valve (or the valve between the two right heart chambers, the right atrium and right ventricle) doesn’t work properly. The tricuspid valve will be located lower than normal in the right ventricle. Meanwhile, the tricuspid valve’s leaflets will form abnormally. However, if side effects are present, they may include arrhythmias/heart palpitations or abnormal heart rhythms; cyanosis, or a bluish discoloration of the lips and skin caused by low oxygen; fatigue; or shortness of breath, especially with exertion. Most patients with mild Ebstein’s anomaly have few complications. However, some precautions might be required if a patient wants to remain active (through exercise or sports) or to give birth. Grass-fed meat, leafy greens and other vegetables, oatmeal and other whole grains, and salmon and other fatty fish can help prevent Ebstein’s anomaly. Treatment usually includes medications, monitoring, and surgery.